Please excuse the lack of posts this past month. We took a 15 day trip to the East Coast and my only goal was to get through the third book of the Game of Thrones series. With the kids now happily ensconced back in school, I have started combing through my photos from the trip and will get to work, pronto! 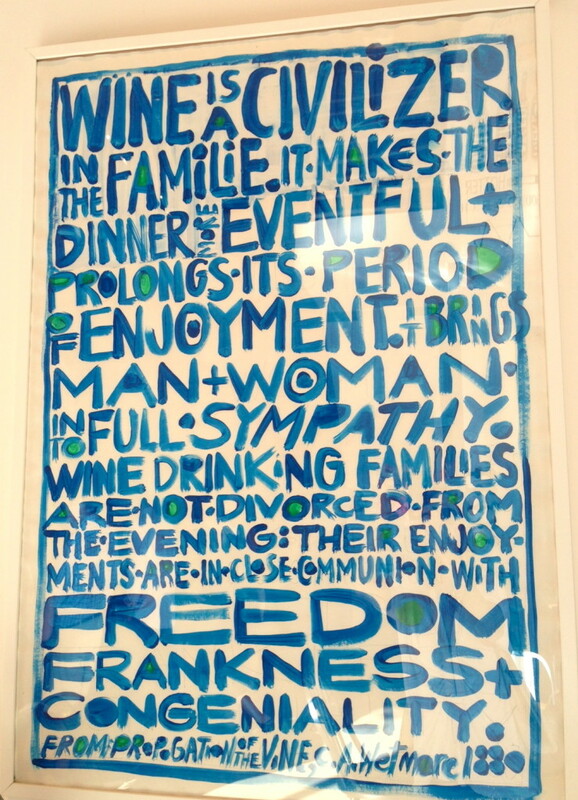 In the meantime, let me share with you this great poster I saw at the AVA Santa Barbara tasting room in the Funk Zone in Santa Barbara. Cheers!